MeerKAT telescope is complete - SABC News - Breaking news, special reports, world, business, sport coverage of all South African current events. Africa's news leader. The SKA area has been declared a national key point. The construction if the MeerKAT radio telescope has been completed after all 64 antennas have installed onto the device. 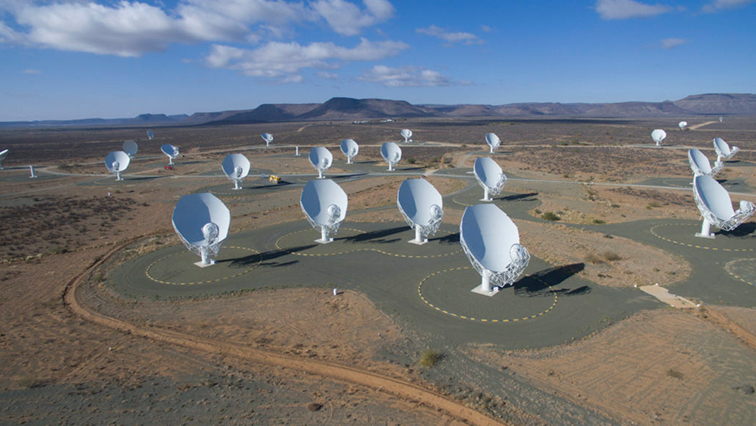 The telescope, which is located in Carnarvon, Northern Cape is a precursor to the Square Kilometre Array telescope (SKA) and will be integrated into the mid-frequency component of SKA Phase 1. The SKA area has been declared a national key point as government wants to protect its investments. Recently, the MeerKAT observed a rare burst of activity from an exotic star, demonstrating outstanding capabilities as a new instrument for scientific exploration. This entry was posted on 16 May 2018,03:11PM at 3:11 PM and is filed under Sci-tech, Homepage Featured Story Slider. You can follow any responses to this entry through the RSS 2.0 feed. Both comments and pings are currently closed.